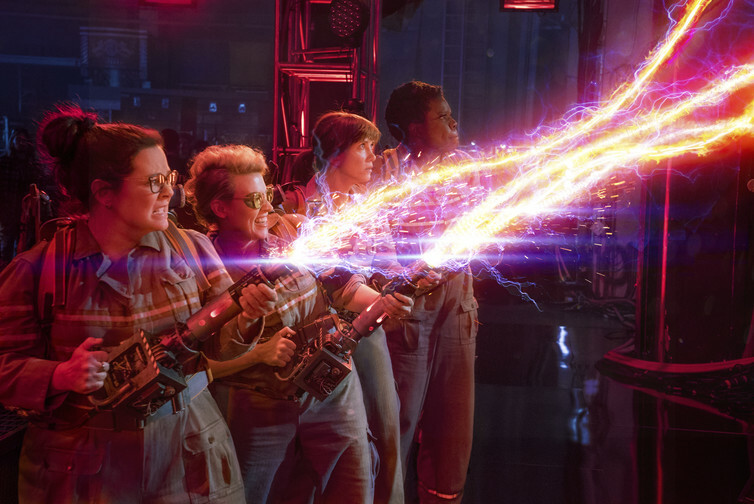 The imminent release of Ghostbusters, a reboot of the 1984 cult movie of the same name, has been accompanied by fears that the new film might not be as good as the first. While we wait to see if the new outing will stand the comparison, old and new fans can at least be sure that the movie replicates the same recipe that proved successful in the previous films of the series: combining ghosts and comedy. This was probably the most original aspect of Ghostbusters. Despite meaningful exceptions, ghosts are more often represented on the screen as fearful presences. From classics such as The Haunting (1963) to the more recent Ringu (1998) and The Conjuring (2013), the cinematic screen usually summons ghosts to terrorise the audience, rather than to amuse them. How come, then, was a movie about funny ghosts so successful? While this might seem an unlikely choice in the fictional world of film, from the perspective of religious traditions and folklore it might make much sense. In spiritualist seances, for instance, amusement and mirth are often part of the ritual – and the appearance of fearful ghosts is very rare. 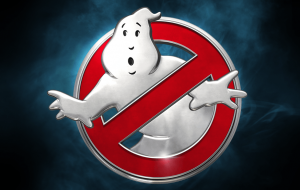 In such a context, the funny ghosts of Ghostbusters would feel perfectly at ease. Spiritualism emerged in the middle of the 19th century in the United States, and then around the world, as a new religion based on the belief that it is possible to communicate with the dead. This communication is performed with the help of sensitive individuals, or mediums, who create a channel between the living and the spirits of the dead. Throughout the second half of the 19th century, spiritualism attracted much attention in the popular press and a large number of believers. If belief in spiritualism is today less widespread than in the Victorian era (at least in most countries), contemporary notions of the ghost in Western cultures are informed by the spiritualist tradition. Not differently from Victorian spiritualists, we imagine ghosts as evanescent traces of the dead, transparent beings that are between our and the “other” world. There is, however, a marked difference between spiritualism’s and popular representations of ghosts, such as in horror films. This has to do with the fact that believers in spiritualism tend to consider ghosts as benevolent, rather than fearful, presences. Spiritualists, in fact, frequently emphasised the good temperament of spirits. They underlined the sense of communion felt by both the living and the dead, and offered it as evidence of the uplifting character of spiritualism. As a well-known British medium, Emma Hardinge, once put it, ghosts are a “tender, loving, wonderful presence” – certainly not the terrorising, vengeful entities depicted in horror films. Not only spiritualists conceived ghosts as benign. Very much like fans of Ghostbusters, they were entertained, rather than frightened, by their appearance. As I show in my book Supernatural Entertainments, Victorian spiritualism fully participated in a growing market for spectacular entertainments, where a wide range of curiosities and attractions were offered to the public. Mediums performed on the stage of theatres and public halls, often before paying audiences. Like performers in the entertainment sector, they had managers and advertised their public seances and demonstrations in the popular press. In spiritualist sittings conducted in domestic households, entertainment played an important role, too. Seances created opportunities for leisure and social gatherings, stimulating amusement rather than fear. Reports of these events describe playful rituals, in which mediums welcome manifestations of happiness and delight – and both living participants and the spirits declare to be having “fun”. The hilarious ghosts of the Ghostbusters franchise, in this sense, are the truest descendants of spirits summoned in Victorian seances. Canadian actor Dan Aykroyd, who co-wrote and starred in the first two movies of the Ghostbusters franchise, posted enthusiastic comments about the new film. Interestingly, Aykroyd has personal and familiar connections to spiritualism. 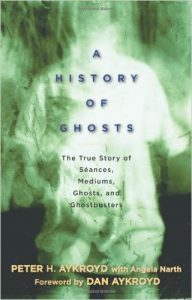 His family were involved in spiritualist activities for at least four generations before him, as documented by his father, Peter Aykroyd, in his recent book A History of Ghosts. One might ask, in this sense, if Aykroyd’s knowledge of spiritualism led to Ghostbusters being one of the few films to have fully exploited the comical potential of ghosts. Maybe it was this knowledge, or his personal experiences at the seance table, that made him realise how funny the spectacle of ghosts can be – whether it on the big screen or in the dark environment of a Victorian spiritual gathering. This entry was posted in Religion, Supernatural. Bookmark the permalink.